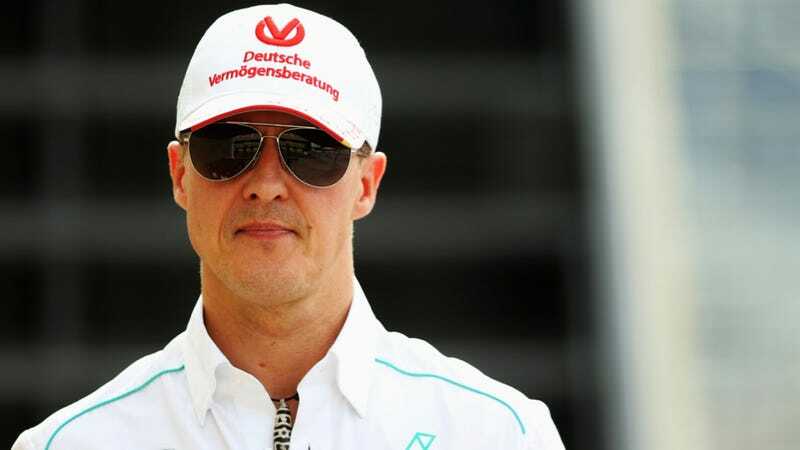 Michael Schumacher has been in an induced coma since his horror ski crash in France at the end of December. There hasn't been much recent news on his condition, but today his manager says he is stable. Schumacher's massive ski accident in France broke his helmet and would almost definitely have killed him if he wasn't wearing it. After the crash, Schumacher suffered a cerebral hemorrhage that put him a life threatening condition. Surgeries released pressure from his brain and he was put in an induced coma to aid recovery. Sabine Kehm, Schumacher's manager, today labeled the seven time world champion as being in 'stable condition' in the hospital in Grenoble. The statement was issued in response to some rumors that had surfaced about Michael's condition in the last week or so. There are no further updates, like when he'll be brought out of the coma. One thing is for certain, we're all pulling for MSC to make a full recovery.